in our newly expanded Auburn location. Strawberry Laser Lipo System is a non-invasive, FDA-cleared treatment that immediately reduces the size of fat cells without damaging or destroying them. The painless treatments are highly-effective and commonly used to treat the abdomen, back, arms, legs, “love-handles”, buttocks and more. Our skin therapists are expertly trained to help you decide which treatments are best suited for YOUR skin type and condition. During this initial treatment, your Esthetician will assess your skin to design a custom plan of care to address your needs and achieve your skin care goals while providing a thorough skin treatment including cleansing, exfoliation, & masque. You will also receive 10% off any new skin care products. $65 A gentle and safe exfoliation of the skin that works by removing the outermost layer of dead cells and fine facial hair, resulting in silky smooth, glowing skin. Excellent when used in conjunction with other skin treatments to maximize your results. Add on for just $20. A combination of up to three skin type appropriate treatments to achieve dramatic results that are greater than the sum of its parts. May include a light to medium depth chemical peel, dermaplaning, microdermabrasion, and antioxidant infusion via ultrasound or micro-current. Alpha Hydroxy Acids (AHAs) such as Lactic and Glycolic Acid provide a radiant glow with little to no downtime. BHA (Salicylic Acid) to treat acne breakouts and light TCA peels for improving sun damaged skin provide great results with moderate recovery time. A full body massage designed for the individual client by our skilled therapists, using a combination of techniques to achieve the best therapeutic results during your session. From stress reduction relaxation massage to deep tissue massage our therapists are here to help you feel your best. Includes all the elements of our Pore Purifying Facial to clear clogged pores and breakouts as well as lighten any post-inflammatory hyperpigmentation. New To Spa 180? We want your first visit with us to be relaxing from the moment you walk through our doors for your time of self-care. Avoid paperwork and get to straight to the relaxation by filling out our New Client Profiles online prior to your spa appointment. At One Eighty Wellness Spa, we strive to positively impact the lives of our clients by offering service and product options that enhance the appearance and self-image. We believe that by improving overall health and wellness, and by emphasizing the mind-body connection, we can successfully slow the body’s aging process. It is our mission to provide an atmosphere of positive energy that is conducive to relaxation, self-improvement and self-renewal in an eco-friendly environment, in an effort to preserve our environment and our appearance simultaneously. 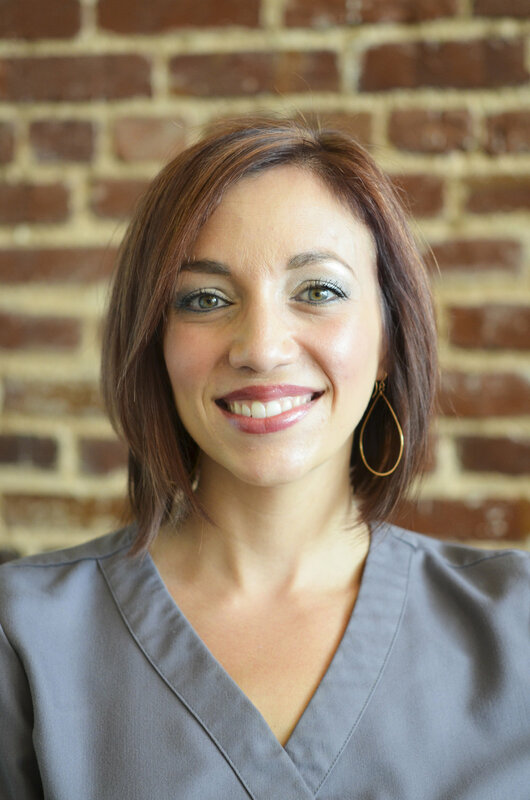 One Eighty Wellness Spa's owner, Jana is a Licensed Master Esthetician with more than a decade of experience in clinical Skin Care and Plastic Surgery. She specializes in professional skin care treatments designed to provide dramatic results for skin conditions including acne, extreme sensitivity, sun-damaged and premature aging. Her experience in Plastic Surgery enables her to help clients understand all available options regarding the improvements they wish to make in their appearance beyond the aesthetic chair. Jana received her Bachelor's Degree in Industrial Design from Auburn University in 2004, which is the foundation of her expert cosmetic application techniques (including undertone color matching, contouring, and camouflage), precision eyebrow design and shaping, and eyelash extension design to give her clients the best aesthetic results.